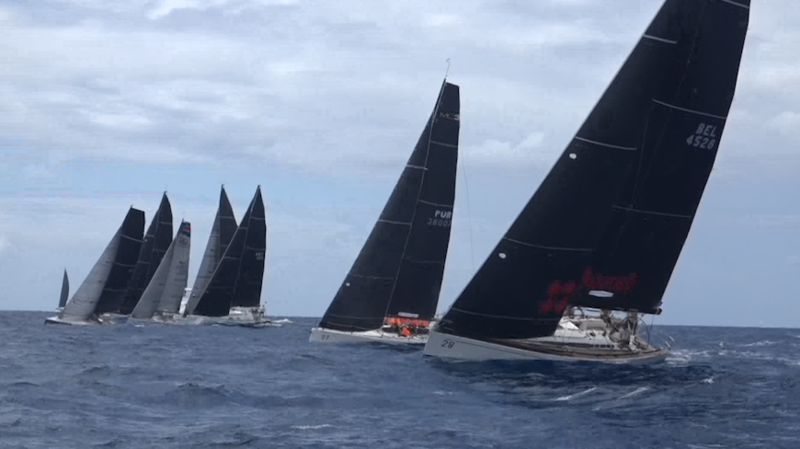 50 boats took over VI waters this weekend for the annual St. Thomas International Regatta. Here’s a look at some of those sailboats racing around Little Saint James on Sunday. Crews from around the world competed, from Canada, to Antigua to Puerto Rico. All celebrated a successful sailing weekend with an awards evening Sunday night. We caught up with one of the winners and those involved in making it happen. “We started our first race in St. Thomas maybe ’89 something like that and from that year to now, all the races, I would be here. I am always happy to sail here, be with good friends, we enjoy that. Obviously I bring my family and my son to sail with me and that is priceless. He is amazing,” Efraito Lugo a Sailor from Puerto Rico said. “It’s just a really exciting opportunity to share the beauty of the Virgin Islands, the great breeze that we have, beautiful water and some of the best scenic around the island races that the Caribbean has to offer,” Margo Lynch, 2019 Regatta Director added. This year marks the 46thyear of the St. Thomas International Regatta. Organizers said they will absolutely be back again next year.